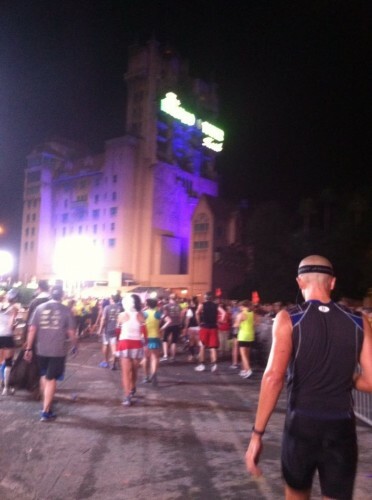 Home » Features » Guest Posts, Twilight Zone Tower of Terror 10-Miler	» A Terrifyingly RAD First runDisney Race! A Terrifyingly RAD First runDisney Race! It finally happened: I registered for my first runDisney race! My boyfriend’s mom wanted to register for her first race in several years and we agreed that The Twilight Zone Tower of Terror 10-Miler would be perfect. A racecation (yes, I made that word up) at the happiest place on earth? Yes please! I’ve done many races in my life, including 7 half marathons and a bunch of 10ks and 5ks. A runDisney race was on my bucket list because it combined my love for running and all things Disney. It almost sounded too good to be true! 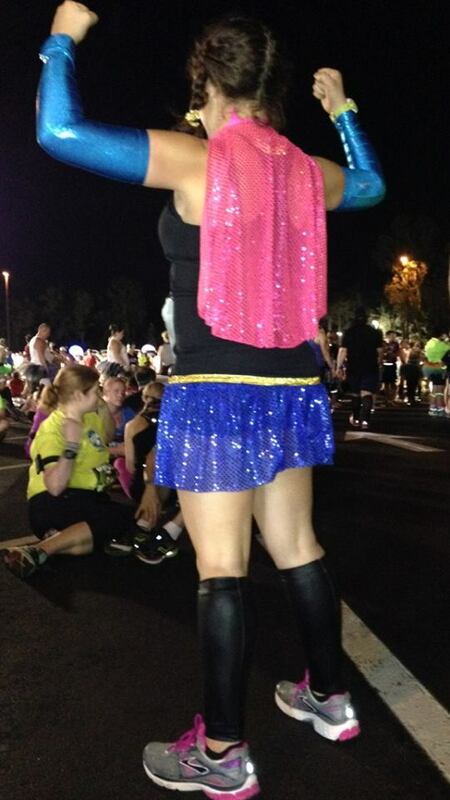 I learned through various blogs that most people wear a costume to the Disney races. I was never one to wear a costume, but I figured if I was going to do it, gotta do it big! 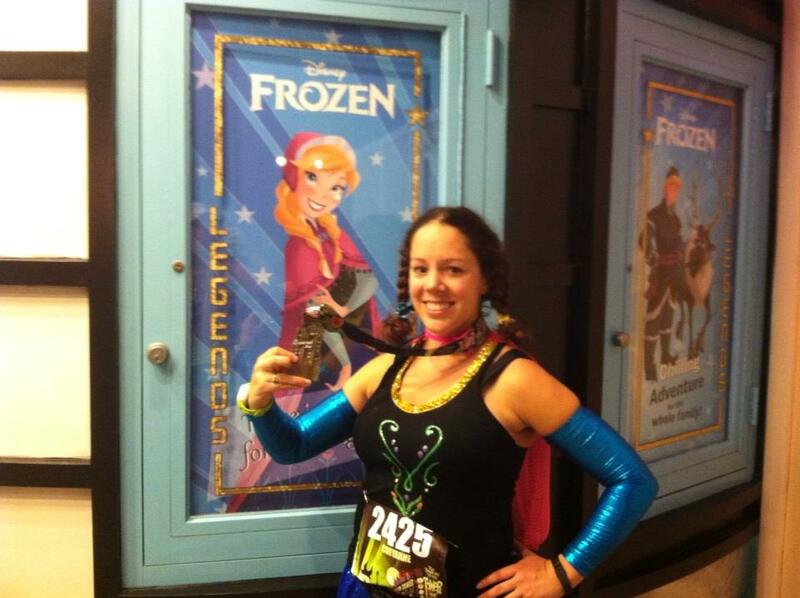 My race costume was Princess Anna from Frozen! 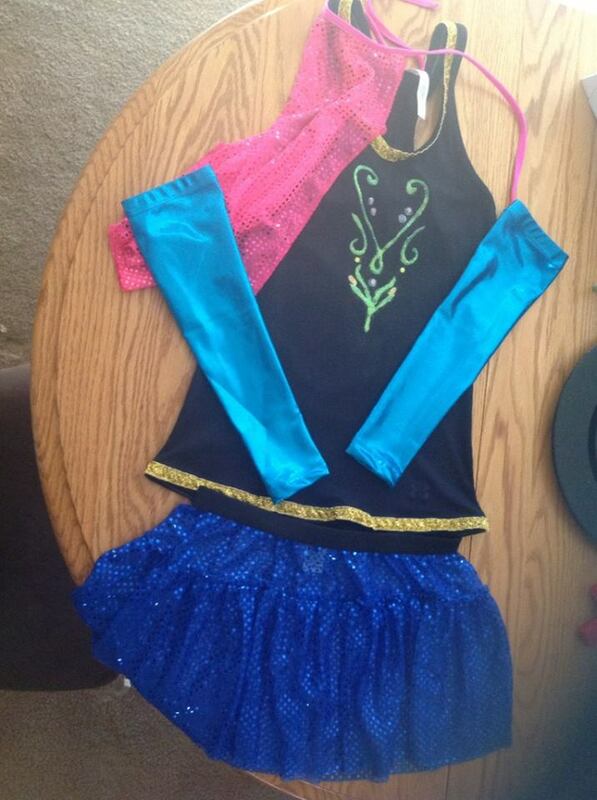 I know, the TOT is mostly villains, but I love Frozen and knew it would be somewhat easy to make. I got most of the costume from Sparkle Athletic, but knew the design on the top would complete the outfit. My mom is very talented and crafty, so she offered her help. She made the design using puffy paint and threw on some glitter. I may be bias, but she did a fabulous job! Thanks mom 🙂 Since I never wear a costume to races, this was exciting. Before I knew it, race weekend was here. I made sure to pack all my race gear in my carry on so I wouldn’t risk losing all my gear. 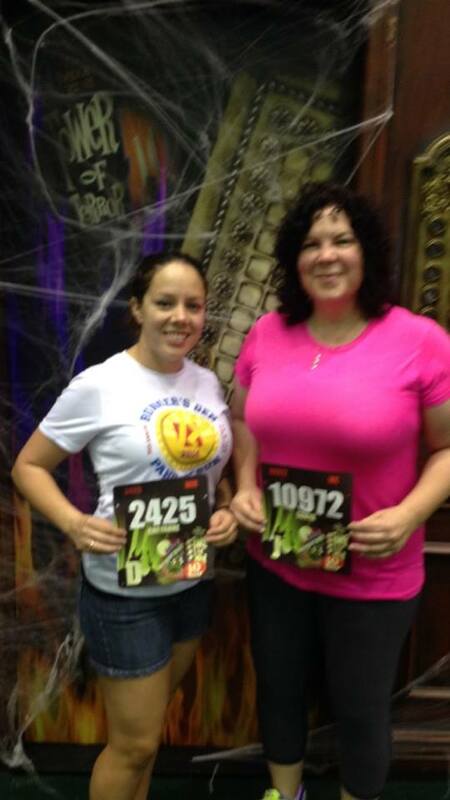 My main concern about running a race in Florida was the humidity. Heat? Bring it on? Humidity? Yeah, we don’t have much of that in Phoenix. I checked the forecast the week of the race and saw the high chance for thunderstorms. 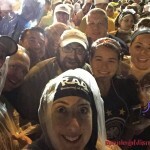 Shortly thereafter, there was a message from runDisney warning about inclement weather. Lots of rain? NNNOOOOO!!!! One, I’m not used to it. Two, I had a cute costume to wear. My boyfriend’s mom was running the race too and was also concerned about the weather. Either way, we were prepared to run, even if it meant getting wet and muddy. We flew in Orlando the night before the race, which was kind of a bummer given that we missed the first day of the expo. Hey, we did what we could. We stayed at the Shades of Green, which is on Disney property and is a great place to stay for military families. We went to the expo at the ESPN World Wide of Sports Complex bright and early the next day. I must say, the crowds weren’t nearly as bad as I read about. Like most expos, we spent way too much money on race gear. I had the pleasure of meeting Jeff Galloway. What a nice man! We also saw the tail end of the Haunted 5k taking place that morning. We were officially pumped for the race! After the expo, we took the advice to lay low. I snuck in a 2 hour nap, but I was too excited to rest more than that! After saying good bye to my boyfriend and his dad (they do not like those kind of crowds!) we headed over to the Polynesian Resort to wait for the bus. We got off the bus and saw the sea of runners dressed in awesome costumes! That crowd had an energy level unlike any race I’ve ever done. The weather ended up being a clear, beautiful night. Still more humid than I’m used to, but not as bad as the predicted forecast. I drank a lot of water that day hoping that would help. We stretched and waited for race time to begin. We got in our corrals to get ready to go. I was shocked to see we needed to be in our corral 45 minutes prior to the start. My plantar fascitis was not happy about this! I was set in corral D while my boyfriend’s mom was set in J, so we wished each other luck and got in our place. I was happy to see runDisney volunteers being firm about coral placement. I’ve been in way too many races where people were clearly in the wrong corral and that can be a pain. Anyway, it was getting to be time to go and we walked almost a quarter mile to the start. It was so cool to see the fireworks go off for every coral, but they didn’t do it for D! Boo! Oh well, I was about to run a Disney race! I felt great getting started. There were a couple of hills the first couple miles (If you’ve been to Arizona, it’s pretty flat), but I was still feeling good. I was going between a 10 and 10:35 pace, which was good considering I was stuck in the 11 minute range for a long while. 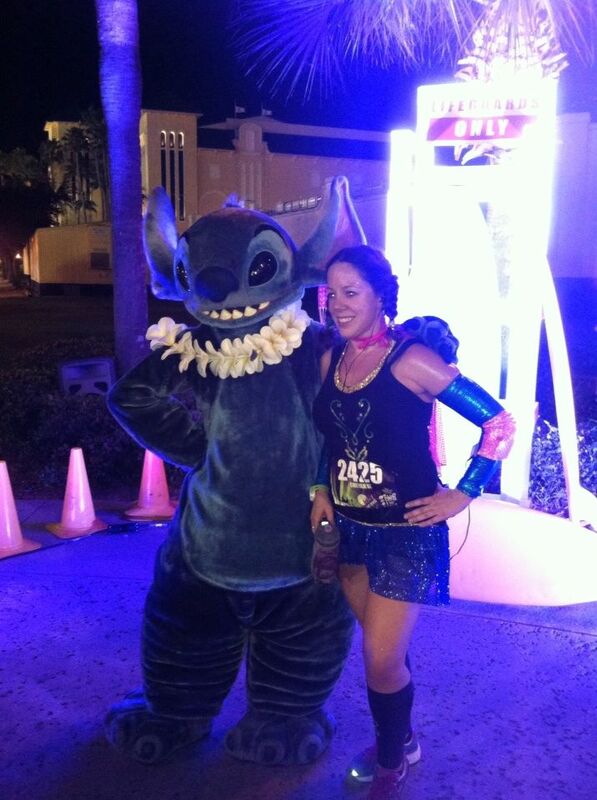 I was happy with my pace, so I originally decided against stopping for pictures with characters. 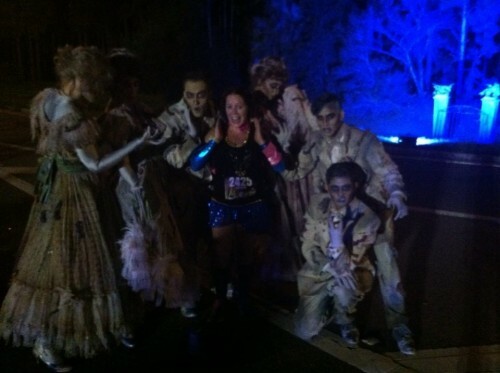 I ran by the Queen of Hearts, the Hyenas from Lion King and Captain Hook. There was a line for each one and I was worried it would drop me below the 16 minute mile. I threw that thought out the window when I came across a picture opportunity with Jack Skellington and Sally from Nightmare Before Christmas. No way I was missing this! It was around that time I decided to let go of my competitiveness and enjoy what the race had to offer. 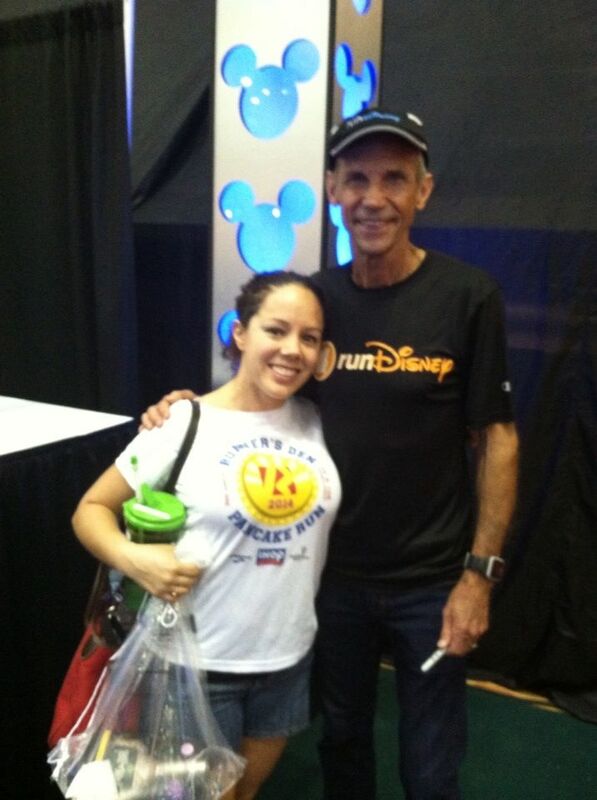 I could run a PR at home, but I can’t take pictures with Disney characters at home! I got pictures with Stitch and the Haunted Mansion cast among others. Even though I stopped for pictures, I was still able to maintain a good pace. One of my favorite spots to run on the course was through ESPN World Wide Sports. My joints were thanking me. This was also the part where I really started feeling the humidity. I stayed hydrated with the water and Gatorade combo, which works well by the way. Before I knew it, we were running back into Hollywood Studios. Yay, almost there! 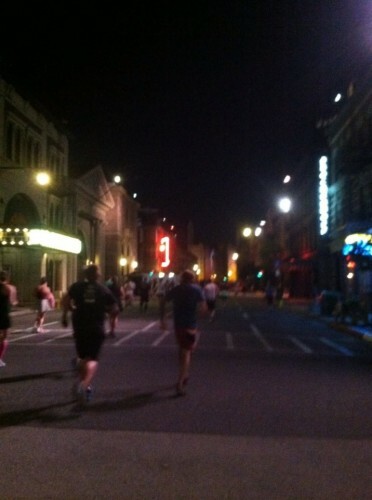 I loved the part where we ran by Mickey’s Sorcerer Hat and down the Streets of America. What a sight! The one rough thing was the sharp turns. Oh my! Just when it seemed like the finish line was a long way away, I was crossing it! Oh yeah, I did it! Loved the medal and the fact it glowed in the dark. 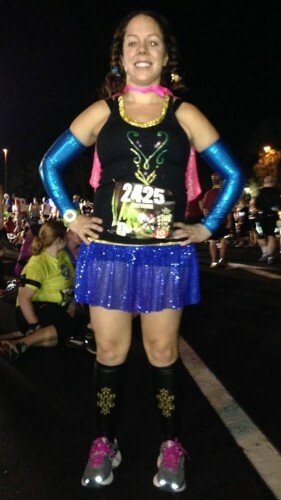 I was so happy to be done with my first runDisney race! Even though I was done running, the walking had only just begun! Wow, we walked about a mile after the race. I know the volunteers had to keep things going, but wow! I walked over to the family reunion area to wait for my boyfriend’s mom, and she finished about a half hour later. Her goal was to not get swept and finish, which she aced! We met up and got ready to go on the Tower of Terror, but she decided to sit it out and told me to go on her behalf. 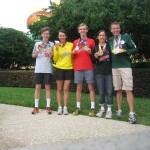 A couple runners learned the hard way that wearing their medal on the ride is not a good idea. Luckily, I tucked it in the seatbelt. I had to go get our bags and with it being 3 am, we almost missed our chance to get them! I hate to brag, but I got directions around the park from THE Jeff Galloway 🙂 We finally got on the bus and passed out at the hotel around 4:30 AM. Woo! What a night! 3 Responses to A Terrifyingly RAD First runDisney Race! Awesome! 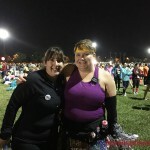 ToT was my first runDisney event and my first “big” race. I know it was never one of the more popular ones, but I loved it. I wish that I had stopped for more character photos but I was nervous about my time and couldn’t bring myself to lose precious minutes. Great job and I love your costume! 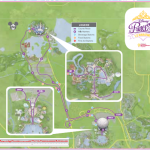 I’m doing my first runDisney next February. It will so be my first half. First Glass slipper, too :). My question is simple but terribly important ;). For the character photos, do you need to provide your own camera? Or will photogs snap your pic nd then email you the link a la bib number contact info?? Heidi you are going to LOVE the Glass Slipper Challenge!! To answer your question…both. There will be a photographer at most (not all) character stops to take your photo. Your race bib is your “Photo ID” and you will get an email with all your photos after the race. There will also be a cast member there that you can give your phone or camera to and they are always more than happy to take a picture. I highly recommend carrying your phone or a camera to take photos along the course. Sometimes the photos that aren’t at photo stops are actually the best!